Application Notes For flow cytometry, dilutions to be used depend on detection system applied. 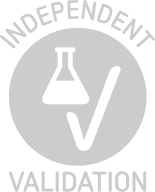 It is recommended that users test the reagent and determine their own optimal dilutions. The typical starting working dilution is 1:50. For functional studies, dilutions have to be made according to the amounts of MD-2 to be inactivated. Buffer PBS, containing 0.1 % bovine serum albumin. Product cited in: Tissières, Dunn-Siegrist, Schäppi, Elson, Comte, Nobre, Pugin: "Soluble MD-2 is an acute-phase protein and an opsonin for Gram-negative bacteria." in: Blood, Vol. 111, Issue 4, pp. 2122-31, 2008 (PubMed). Daubeuf, Mathison, Spiller, Hugues, Herren, Ferlin, Kosco-Vilbois, Wagner, Kirschning, Ulevitch, Elson: "TLR4/MD-2 monoclonal antibody therapy affords protection in experimental models of septic shock." in: Journal of immunology (Baltimore, Md. : 1950), Vol. 179, Issue 9, pp. 6107-14, 2007 (PubMed). Elson, Dunn-Siegrist, Daubeuf, Pugin: "Contribution of Toll-like receptors to the innate immune response to Gram-negative and Gram-positive bacteria." in: Blood, Vol. 109, Issue 4, pp. 1574-83, 2007 (PubMed). Pugin, Stern-Voeffray, Daubeuf, Matthay, Elson, Dunn-Siegrist: "Soluble MD-2 activity in plasma from patients with severe sepsis and septic shock." in: Blood, Vol. 104, Issue 13, pp. 4071-9, 2004 (PubMed).